Shop Parrot-fa-Nalia for the largest selection of prom and bridal dresses in Kansas. A dazzling selection of all the latest fashions available for immediate delivery sizes 0 to 32. Hundreds of wedding dresses now in stock to choose from. In House Alterations are available for dresses purchased at our store. Experienced consultants to assist you in your selection of the perfect dress, shoes and accessories. No appointment necessary. Sherri Hill , Jovani , Alyce Paris , La Femme , Dave and Johnny , Morilee , Blush , Collette , Primavera , Scala , Tiffany , Zoey Grey , Ellie Wilde , Studio 17 , Allie Blu, Precious Formals, Rachel Allan plus many more. Questions about dresses? Visit the store at 1719 S. Hillside in Wichita Kansas or call 316~682~5531 or 800~NOW~DANC. Say yes to the dress at Parrot-fa-Nalia as thousands of girls have over the past 48 years. No repeats. Be original. We keep a registry of dresses sold. Parrot-fa-Nalia gives you a free picture of your dress. Don't forget our no fee lay-away plan. For your party needs, check out Parrot Party Place located in the basement under Parrot-fa-Nalia. Call 316~682~5531 for details. Choose from our Tuxedo Collection . Complete Tux Rental includes coat, pants, shirt, vest and tie. 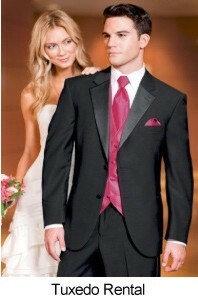 Tux rental 10% off with purchase of a dress. Wedding party of six tuxes, get one tux free. Fashions, Gifts, Prom Dresses, Homecoming Dresses, Military Ball Gowns, Wedding Dresses, Bridesmaid Dresses, Shoes, Accessories. Kansas' largest selection of homecoming dresses, prom dresses, bridal dresses and bridesmaid dresses. In stock. 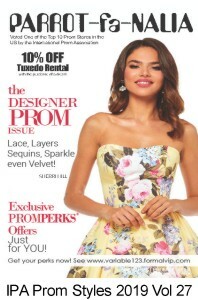 Parrot-fa-Nalia was named as one of the Top Ten Prom Stores in the United States by the National Prom Association. Parrot-fa-Nalia. It's "everything you think and a whole lot more." Read more about the store in the Wichita Business Journal's Archives.